Zojirushi BB-HAC10 Review 2019 - Can it Bake Gluten Free Bread? The Zojirushi BB-HAC10 is a cute, vertical bread maker that is perfect for single people and those with small households. The compact size and vertical design of the bread machine make it suitable for use on a small countertop. This is the best bread maker for one or two people. 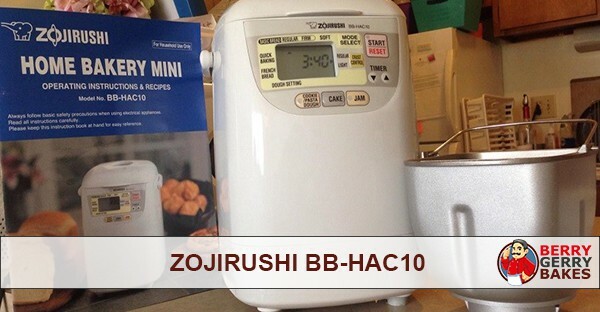 The Zojirushi BB-HAC10 is a bread maker that comes packed with dozens of features. For example, you can program it to bake bread whose ingredients had been prepared as much as 13 hours earlier. Thanks to this feature, you can prepare your ingredients at night and have fresh bread for breakfast in the morning. Alternatively, you can prepare your ingredients in the morning to be ready for baking when you return from work in the evening. 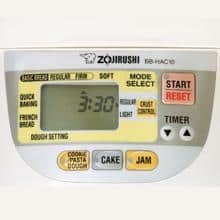 The Zojirushi BB-HAC10 has a series of preset programs that allow you to easily bake different recipes, even if you are not an expert chef. Whether you want to bake bread, make fresh fruit jams or cakes, this bread maker is capable of it all. The Zojirushi bread maker is also suitable for dough kneading. You can use it to make the dough for rolls, pizza bases, croissants and pasta. The blender functions can even prepare the ingredients for cookies. This Zojirushi bread maker can bake food fast. You can use its speedy baking function to get delicious fresh bread directly from the oven in less than 2 hours. The appliance has an LCD control module, which you can set to bake crusty, medium crust or even a light crust bread. The kneading blades of the Zojirushi BB-HAC10 are non-stick. This is important to ensure that the dough gets a thorough kneading to provide consistent results every time. The bread also comes out easily as the bread maker is non-stick. You can check the progress of your blending or baking through the bread maker’s viewing window. 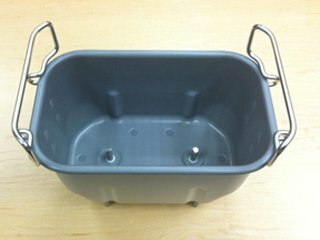 Therefore, you don’t have to raise the lid and disturb the kneading or baking process. The control panel is large enough and the controls are easy to use. If for one reason or the other some parts of your appliance are broken, you can easily find replacement parts online. Zojirushi BB HAC10 replacement parts are available both on Zijorushi.com and on Zojirushi’s Amazon webpage. 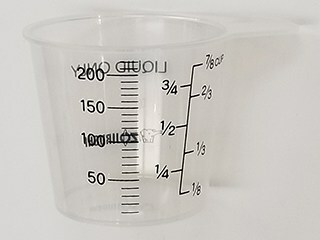 You can replace your Zojirushi measuring cup with any liquid measuring cup you like. We love the OXO measuring cup, which is made from BPA-free materials and is dishwasher safe. The measuring cup features an angled surface that lets you read measurements from above. You won’t have to fill, check and adjust to see whether you have the right amount of liquids. If you want to get someone a gift, check out this set of 3 measuring cups. 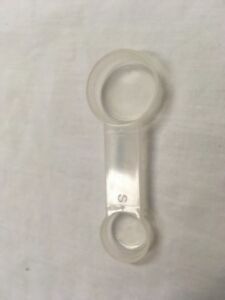 The Zojirushi bread maker replacement spoon is convenient and would be good to have as a backup. The spoon comes handy when you need to measure liquids like lemon juice or vanilla extract. The spoon is comfortable on the hands, lightweight and can measure just about anything you need in one spoon. The Zojirushi bread maker blades are designed specifically for particular Zojirushi bread makers. Before you purchase a blade, confirm that it would fit your bread machine. The Zojirushi BB-HAC10 replacement blade is available at Zojirushi website. Like is the case with blades, you need to check that the bread maker replacement pan you want to buy fits your Zojirushi model. You will easily find Zojirushi bread machines replacement parts on Amazon if you have one of the newer appliances. For the BB-HAC10, you can buy the replacement pan on the manufacturer’s website. Both the Zojirushi BB-HAC10 and the Zojirushi BB-SSC10WZ are ideal for small households. These two appliances are not only great for making bread but also cakes, jams, dough and more. However, there are a number of differences between the two appliances. 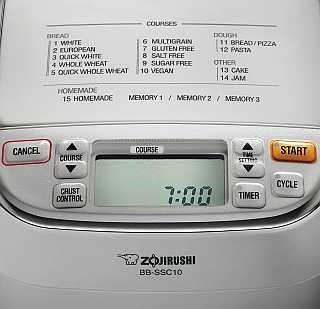 To begin, the Zojirushi BB-SSC10 Maestro Breadmaker has more settings than the BB-HAC10. For example, the SSC10 has settings for baking vegan, sugar-free and gluten-free bread, which are not available on the HAC10. Has three programmable memory slots that you can customize with your own bake, rise and knead times. Both the Zojirushi BB-HAC10 and the BB-SSC10 have a Quick Bake setting. With the BB-HAC10, you can bake bread in just under two hours while with the BB-SSC10, your loaf will be ready in about two and a half hours. The two bread makers do not take a lot of space and, therefore, can be placed on smaller countertop surfaces. However, the Zojirushi BB-SSC10 is a little bit larger than the BB-HAC10. Finally, both the Zojirushi bread makers come with a recipe book, measuring cup and spoon, and a manual to help you get started quickly. Check the tables below for a summary of the similarities and differences between the Zojirushi BB-HAC10 and the Zojirushi BB-SSC10 breadmaker machines. Weight Appx. 9 lbs. Appx. 16 lbs. Zojirushi BB-HAC10 vs BB-SSC10: Which One Should You Choose? Both the Zojirushi BB-HAC10 and Zojirushi BB-SSC10 Home Bakery Breadmakers are quality appliances that are easy to use. If you have special dietary needs in your home, the best bread machine to buy would be the BB-SSC10. This appliance comes with various advanced settings that allow you to bake bread suitable for special dietary requirements. If you won’t be needing the advanced settings, you can settle for the Zojirushi BB-HAC10 and save some dollars. The Zojirushi BB-HAC10 Home Bakery Mini Breadmaker is one of the best bread machines on the market. The bread maker is easy to use and its manual is self-explanatory. Moreover, the manufacturer offers excellent customer support in case you experience any problems. Zojirushi BB-HAC10 is easy to clean thanks to its nonstick blades and surface. If you usually make different recipes one at a time, you want a bread machine that is easy to clean to save time. This bread machine would be suitable for making recipes for an occasion such as a birthday party, where you have to bake different types of foods. The preset programs make it easy for anyone to start baking fast and get excellent results. The Zojirushi BB-HAC10 bread maker has nifty features but it’s not perfect. Here is an overview of what you should know about the bread machine. The bread machine is light and fairly compact. If you live in a tight space, this is the unit to get. The unit takes as much space like a typical microwave would on your kitchen counter. Moreover, since it makes only 1 lb. loaves, you won’t have to worry about the bread going to waste, especially if you live alone. The Zojirushi BB-HAC10 comes with an easy to follow manual and its kneading paddle and pan are non-stick. The machine is ideal for novices and will allow you to bake all sorts of goodies without a lot of effort. There are a number of pre-programed bake settings that make it easy to bake the type of food you would like. The bread maker does not make fancy loaves. However, the loaves made are high quality and come exactly as you intend them to. The unit has two blades, which ensure your bread gets the traditional textures you are used to. The bread maker features a controllable bake time setting that is convenient for your baking adventures. The unit’s bake settings are, however, quite limited. This is why you may find it quite limiting if you are an intermediate or experienced baker. At two hours, the Zojirushi BB-HAC10’s bake cycle is not the fastest but it is quite commendable. This Zojirushi bread maker is perfect for someone that lives alone. However, if you have a large family, you would need a larger bread machine. Moreover, the unit has limited baking settings. You won’t be able to experiment a lot with it, especially if you are an intermediate or expert baker. The “regular” crust setting on the Zojirushi BB-HAC10 produces a reasonably darker crust. While this is not a deal breaker, you may want to use the “light” color setting if you prefer a regular-colored crust. Alternatively, use milk instead of water to wet the recipe. The Zojirushi Home Bakery Mini Breadmaker is one of the best bread makers on the market. This bread maker is perfect for novice chefs but also addresses the demands of expert bakers. Its precision control settings enable expert bakers to get their bread, cakes or other foods just right.